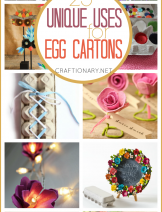 Make creative kids projects. 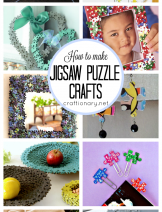 These are some super cool and easy ideas for getting crafty for kids. 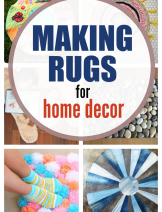 Colorful ideas for kids bedroom, play area and clothes. 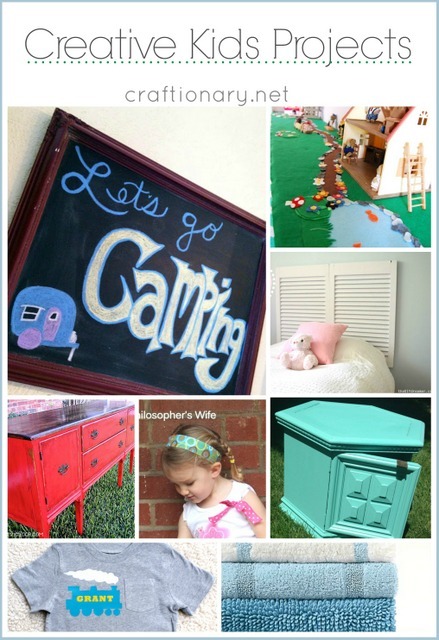 A chalkboard is a fun addition to kids room. 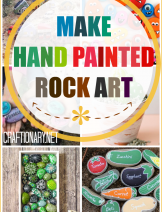 If your kids are artistic they will love refreshing their room with new chalkboard art. 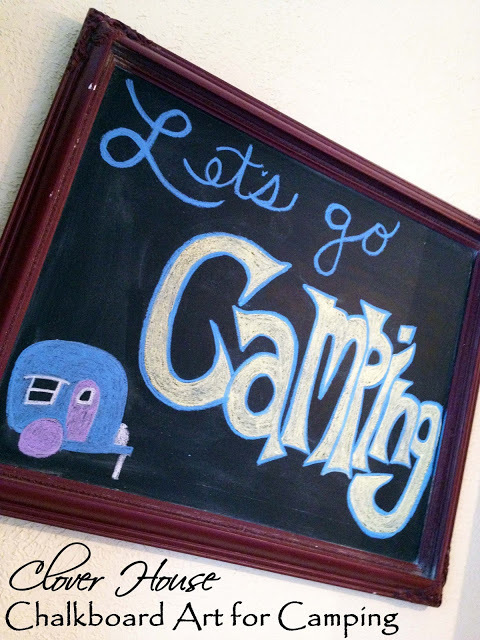 Just like this camping art. 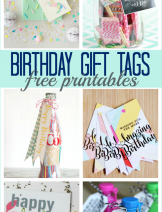 I am loving this simple but very crafty idea. The flowers on the road side and the pond are adorable. 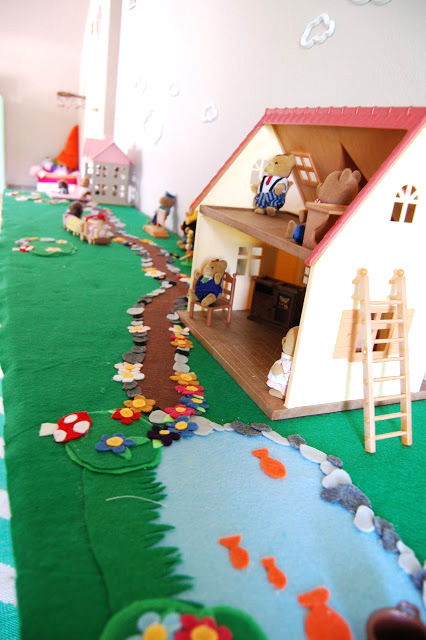 Think about making magical places for kids to play using felt. I am thinking a farm house, racing track and even marine life. 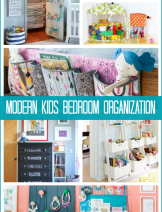 I love bright colors in kids bedrooms and play areas. 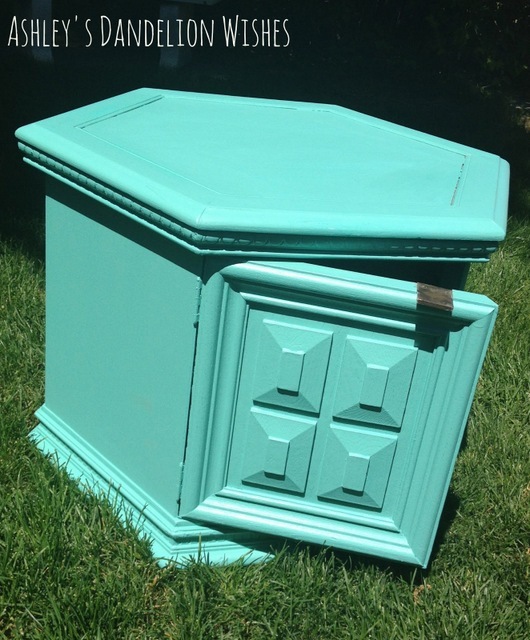 Think about painting the side tables turquoise to revamp the look. 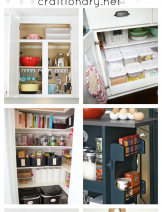 Bold colors look fantastic when planned and put nicely in a place. 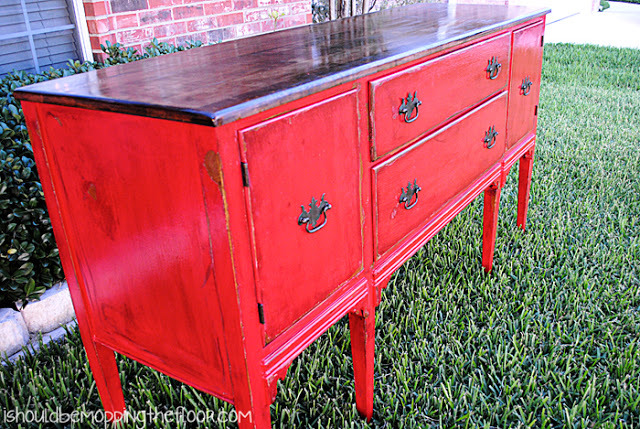 I am loving this distressed table painted red. Accessories a never enough for girls. 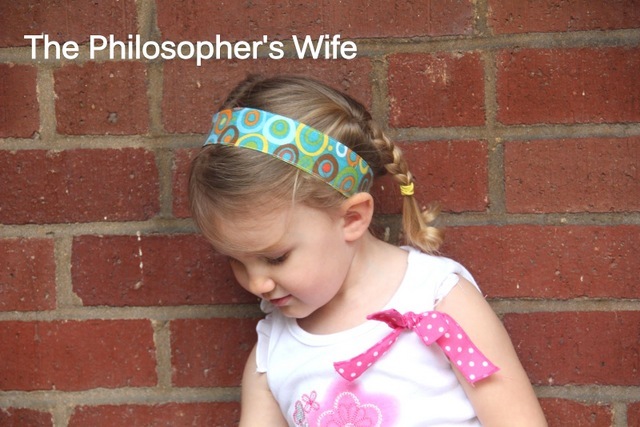 Make cute reversible fabric headbands for little girls. Super creative and awesome use for shutters. 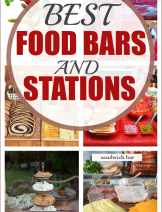 A very impressive idea and neat idea. 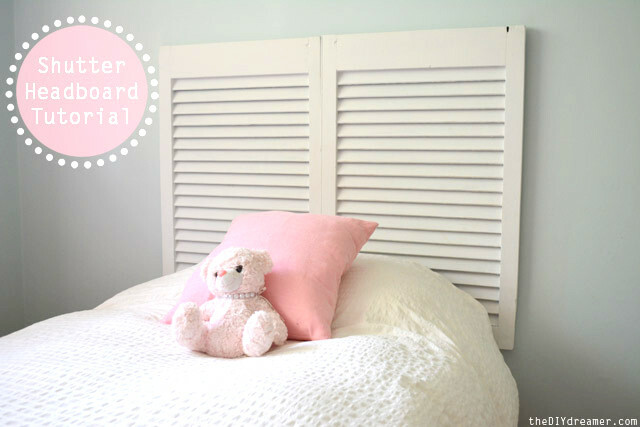 Make DIY headboard with shutters. 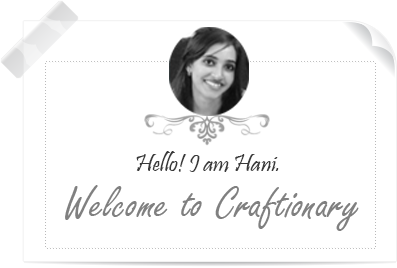 Quick, easy and statement making! 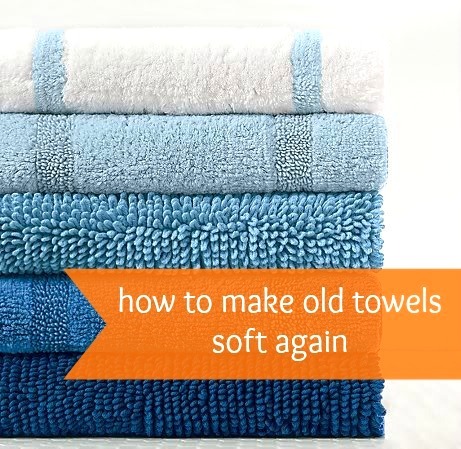 How to make old towels soft again? 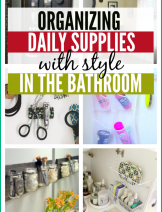 This is also great for kids fabric toys and stuff toys. Little boys are crazy about choo choo trains. This little addition to a plain t-shirt will put a big smile on their faces. 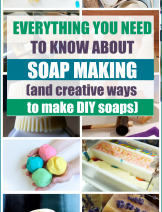 Check out tutorials in the category DIY PROJECTS. 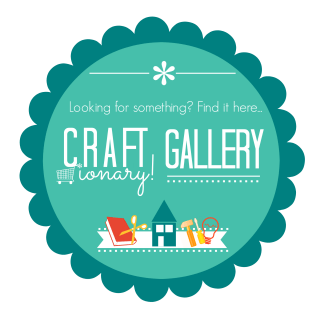 You will also enjoy Projects I love and DIY ideas Boards. Yay! 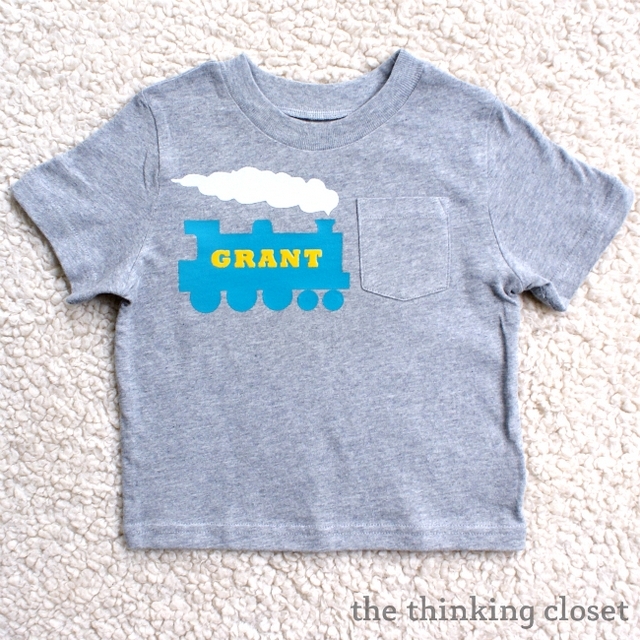 Thanks for featuring my Toddler Train Tee! Happy Monday to you.